书籍简介: \\\\\\\\\\\\\\\\\\\\\\\\\\\\\\\\\\\\\\\\\\\\\\\\\\\\\\\\\\\\\\\\\\\\\\\\\\\\\\\\\\\\\\\\"Bringing together the best experts in the business, Generating and Sustaining Nonprofit Earned Income offers up critical advice and insights to help even the most experienced social entrepreneurs improve upon enterprise performance; A critical addition to any practitioner resource library.\\\\\\\\\\\\\\\\\\\\\\\\\\\\\\\\\\\\\\\\\\\\\\\\\\\\\\\\\\\\\\\\\\\\\\\\\\\\\\\\\\\\\\\\"
\\\\\\\\\\\\\\\\\\\\\\\\\\\\\\\\\\\\\\\\\\\\\\\\\\\\\\\\\\\\\\\\\\\\\\\\\\\\\\\\\\\\\\\\"We live in a world that begs for the creation of new models of economic justice and opportunities. This book provides valuable information to support the efforts of nonprofit entrepreneurs to succeed in creating and operating ventures that are both sustainable and replicable while meeting economic and societal needs. Go for it!\\\\\\\\\\\\\\\\\\\\\\\\\\\\\\\\\\\\\\\\\\\\\\\\\\\\\\\\\\\\\\\\\\\\\\\\\\\\\\\\\\\\\\\\"
\\\\\\\\\\\\\\\\\\\\\\\\\\\\\\\\\\\\\\\\\\\\\\\\\\\\\\\\\\\\\\\\\\\\\\\\\\\\\\\\\\\\\\\\"Nonprofit ventures have few of the traditional supports that are available to other types of organizations. Straddling the for-profit and nonprofit cultures, they inhabit a world not officially recognized, where roadmaps do not exist. Life on the thin strip between one land and another is always a precarious existence, full of trials and tribulations, but also charged with opportunity. This book provides the best thinking to help nonprofits capitalize on that opportunity.\\\\\\\\\\\\\\\\\\\\\\\\\\\\\\\\\\\\\\\\\\\\\\\\\\\\\\\\\\\\\\\\\\\\\\\\\\\\\\\\\\\\\\\\"
In collaboration with the Yale School of Management-The Goldman Sachs Foundation Partnership on Nonprofit Ventures, this comprehensive guide identifies best practices for generating a reliable income stream and ultimately reducing nonprofit organizations' dependence on traditional sources of funding. 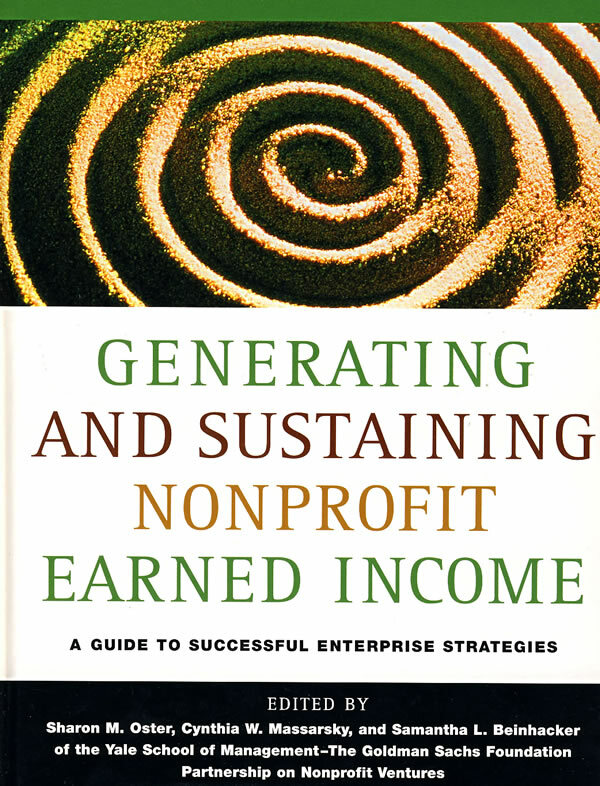 Edited by renowned scholar and consultant Sharon Oster and Cynthia Massarsky and Samantha Beinhacker, deputy directors of The Partnership on Nonprofit Ventures, Generating and Sustaining Nonprofit Earned Income: A Guide to Successful Enterprise Strategies will teach readers sound business planning strategies that can significantly benefit their organization's internal capacity and financial health.